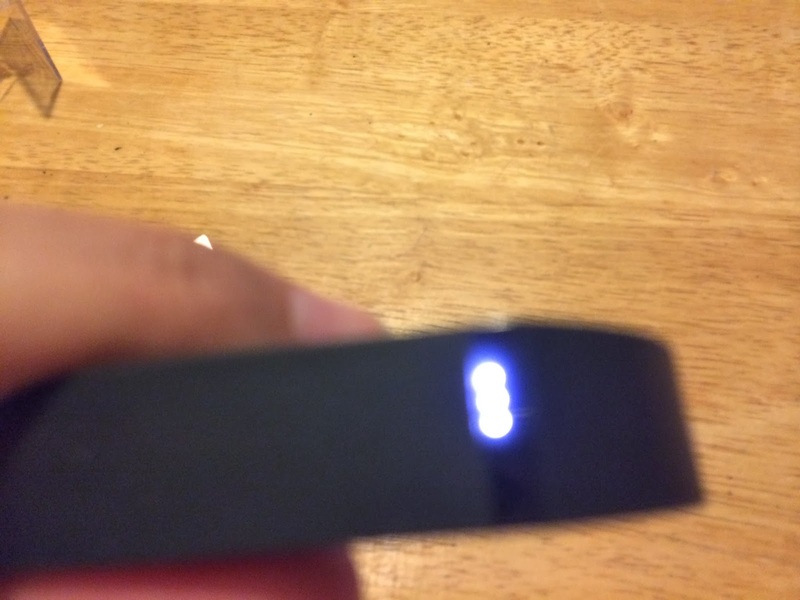 I have been using the FitBit Flex for about a week now and have to say that it is a fun and motivating thing to have when you are on a weight-loss journey. It is a little device that you put inside a rubber bracelet and wear 24/7. It tracks your steps, distance, calories burned and active minutes. It also tracks your sleep and gives you details on hours slept, times woken up, sleep quality and even has a vibrating alarm. 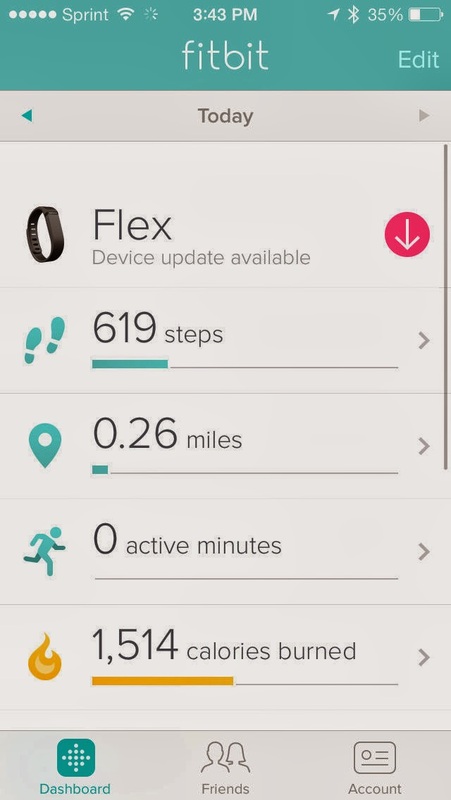 The best part of the FitBit Flex is that you can set a goal. You tell it how many pounds you want to lose and by what date and it will make a plan for you and tell you how many calories you can eat and how many calories you have to burn. It keeps track of the goal on the dash board on the website and on the app on your device. 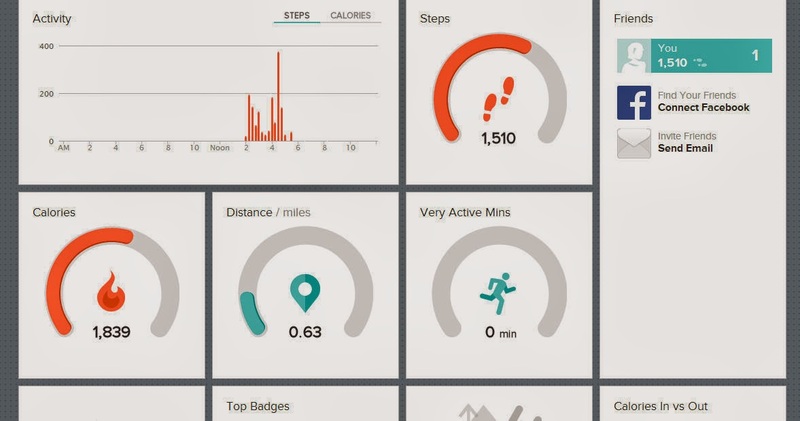 It also tracks a daily goal like calories burned or steps taken. I set it to track a certain amount of calories burned. During the day whenever I want to see how I am doing I just tap on the bracelet and it shows me a certain amount of lights. When all five lights, light up I know I have met my goal. If I see that I don't have enough lights by the middle of the day I make sure to move around more or add an exercise activity. can see three dots of lights. 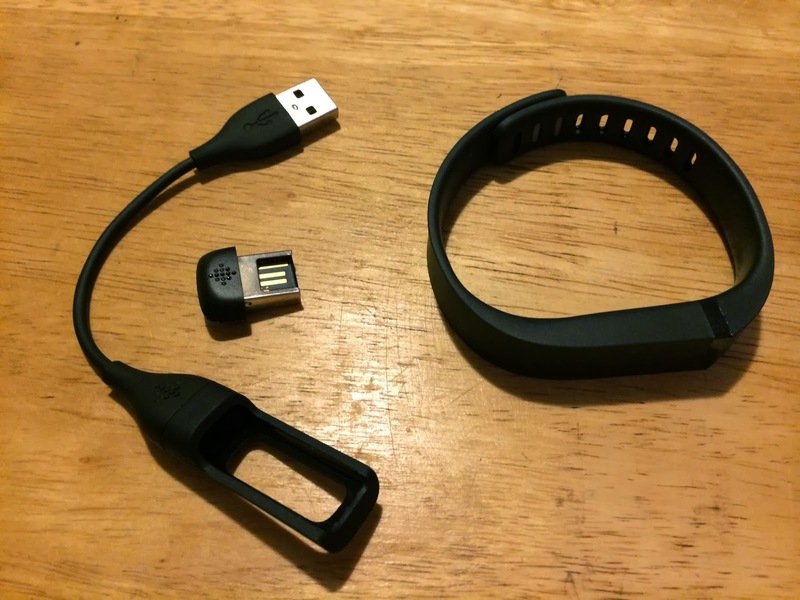 It is super easy to wirelessly sync your FitBit Flex to your Smartphone, Tablet or computer. If I want to see a numerical value of where I am at I just go on to my iPhone and sync it. With the app you can also log your food and water intake. It will tell you how many calories you have left to eat too. Fitbit also has a great website where you can see a dashboard of your activities, calories in vs calories out, water intake, etc. They also have their own FitBit community where you can join different groups. Overall I really enjoy wearing it. It makes me really proud when I see the five little lights that tell me I met my daily goal. It also kicks my tail into high gear when I don't see my lights, lighting up fast enough. **I was not compensated nor received a sample or product in any away from the company. I chose to review this product on my own because I felt that it would be useful to my readers. I bought one for the hubby but hasn't start using it. This is a great device to get your child moving and you can add an extra incentive for miles achieved at the end of the month . Ahhh I want a FitBit so bad! I've tried to save towards one, but something else always comes up that I have to spend money on. I'd vaguely heard of one before, but now that I actually know all of its capabilities I am adding the FitBit to my wishlist. I need lose about 15 pounds...ugh. I have the regular fitbit and it is wonderful. I am fully in favor of all fitbit products. I have been thinking about the FitBit! I think it's a great way to stay on track - and who doesn't want to see those lights lit up at the end of the day!??! Great review. I like that it's wireless. I'd give this a go! I want one! I walk daily for an hour and would love to know how much steps I make. I'd love to find out more about my sleeping patterns more than anything. I just may have to get me one of these for my curiosity. Thanks for the review. Several people at the gym have these and I was wondering how they were. What a great gadget! I loved love the have one of these. It's so motivating to see everything charted and in graphics. Aren't they fun! I love all the new gadgets that help us to become healthier! We have an original fitbit (the kind you clip on your clothes) but I like this version so much better! It is a great motivator, no matter which style you have. Seriously, that is one nifty piece of technology. I like that it helps gauge sleep issues. I've been thinking about getting one of these. I love the way it tracks everything for you! Thanks for sharing! I really need to get exercising and this sounds like a great thing to use to see how much you do. I walk a lot on a normal basis and need to make sure I do extra. I like how this product gives you a little bit of encouragement to walk more daily. I really need this. that would be awesome...I so need that daily encouragement! thanks for sharing about this! Yes, I would need one of these to remind me I need to do activities for the day If I do not get to the gym. With kids around who needs it though:).